57th Place is a fairly new development in Longs off of Highways 9 and 57. The homes here were built in the mid-2000's, ranch-style, with prices under $200,000. However, the homes are nicer than most in this area and price range, featuring upgrades such as gas fireplaces, arched doorways, energy-efficient appliances, screened back porches, fenced yards, and 2-car garages. The area around Hwy 57 is one of the best, and is being built up quickly. With a Bojangles on the corner, a CVS drugstore across the street, and a small strip mall full of good restaurants just down Hwy 9, residents have some convenient dining options. It is only about 10 minutes up 9 to North Myrtle Beach, and close to Hwy 31 for quick access to Ocean Drive, the North Myrtle Beach Sports Complex with walking trails and dog park. and everything south. It's also outside any city limits, so the property taxes are much lower. Children attend Riverside Elementary, North Myrtle Beach Middle School, and North Myrtle Beach High School. 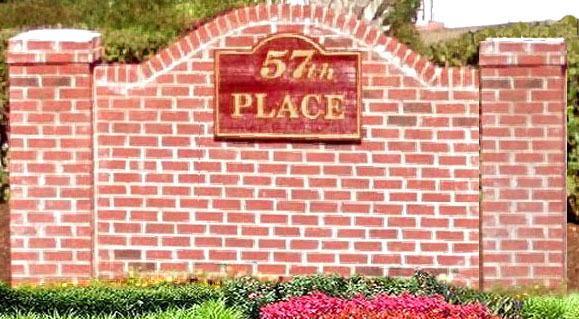 If you're looking for an established neighborhood and a lot of home for the money, 57th Place is a good place to start your search. Call the Little River and Longs experts and let us show you all the homes here, and locations just outside the beaches.